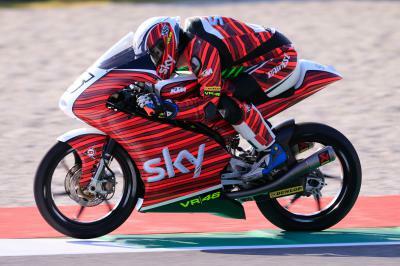 Sky Racing Team VR46’s Romano Fenati cannot hide his excitement after finishing on the podium at the Gran Premio D’Italia TIM. Fenati is now third in the Moto3™ World Championship standings with 67 points, while the leader Danny Kent has 124. Romano Fenati: “It's always nice to come here, and it was really exciting to be on the podium at my home Grand Prix. Halfway through the race the tires were pretty much finished, but I am happy because even with this problem we were able to stay there. The work we are doing is great, I'm very happy with my team. The road is the right one, earlier this year we struggled a bit and now we're there, but we always fight like it's the last race." SAXOPRINT-RTG’s John McPhee finished the #ItalianGP in 20th place after experiencing another difficult weekend in Mugello. 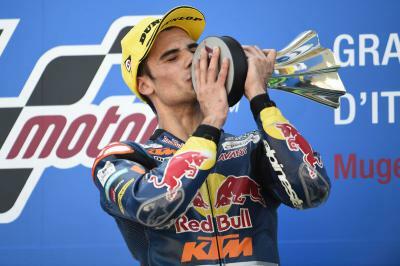 Oliveira: “I had tears in my eyes crossing the finish line"
Red Bull KTM Ajo’s Miguel Oliveira had a day to remember, as he became the first Portuguese rider ever to win a motorcycle grand prix. 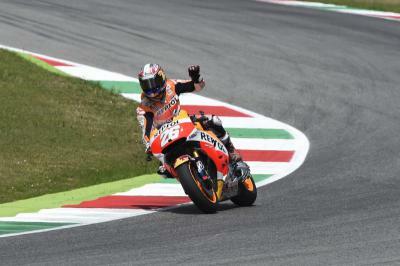 Repsol Honda’s Dani Pedrosa is pleased with his recovery from arm pump surgery, as he finishes the #ItalianGP in fourth. Pol Espargaro had to grit his teeth during the Gran Premio d’Italia after arm pump surgery, but still managed to finish in sixth. 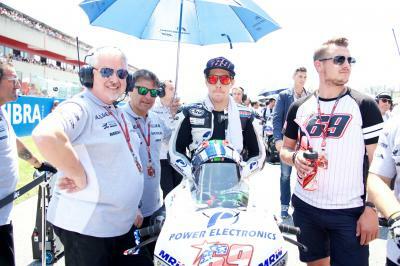 Aspar MotoGP Team’s Nicky Hayden was gutted about being taken out by Steven Bradl during the #ItalianGP. The Gran Premio d’Italia TIM proved to be one to forget for Jack Miller as he crashed out of the race after just two laps. 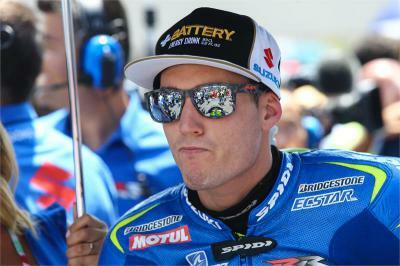 Team Suzuki Ecstar’s Aleix Espargaro fought through the pain in Mugello before being taken out of the race by Danilo Petrucci. Ducati Team wild card rider Michele Pirro cannot hide his feelings after qualifying in sixth and finishing the race in eighth at Mugello. Stefan Bradl explains his crash during the Gran Premio d’Italia TIM after he had been fighting for the Open class victory. Octo Pramac Racing’s Yonny Hernandez managed to pull off a top ten finish despite struggling during the race in Mugello. 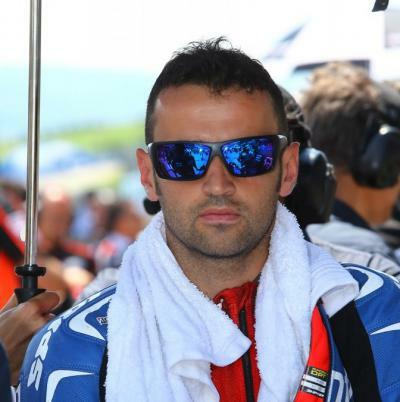 Avintia Racing’s Hector Barbera decided to cut his losses and take the points during the #ItalianGP after a difficult race. 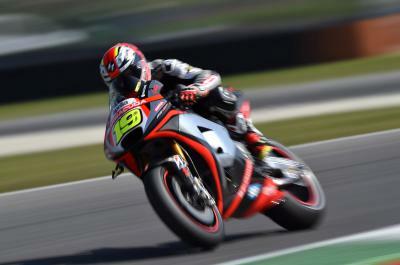 Alvaro Bautista crossed the line in 14th at Mugello, taking two championship points for his Aprilia Racing Team Gresini at their home race.